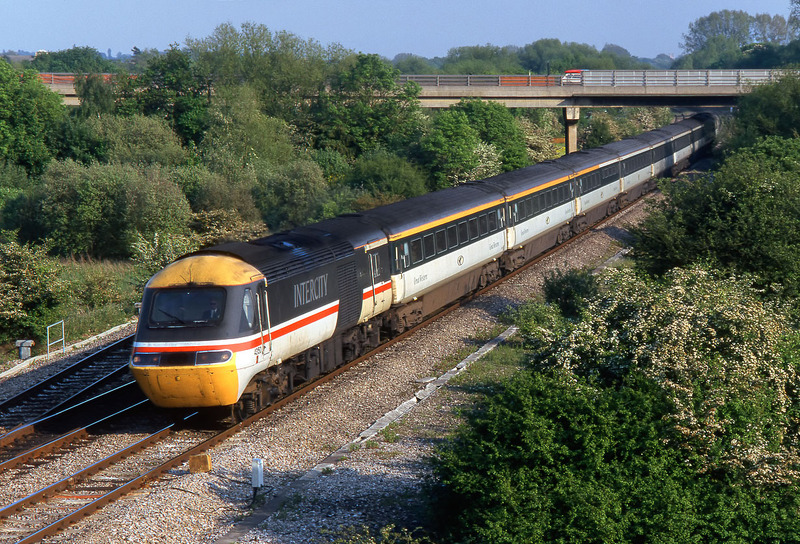 Livery transition time at Wolvercote Junction on 18 May 1998. 43150 Bristol Evening Post still retains InterCity livery, but the rest of the train is in excellent Great Western Trains colour scheme, which unfortunately did not last long, once the company was bought out by First Group. The train is the 1B48 17:10 Paddington to Hereford.